Following a career as an electrician Mark joined the chipboard industry as a buyer in a UK owned worktop and chipboard business, where he spent 13 years progressing to the role of financial director. During his time in the industry, Mark was responsible for technical purchasing, HR, accounts and sales as well as purchasing large volumes of forestry and sawmill based products. He joined Egger as Recycled Purchasing General Manger in 2003 and shortly after became fully responsible for Timberpak Ltd, Egger’s Wood Recycling Management Company. 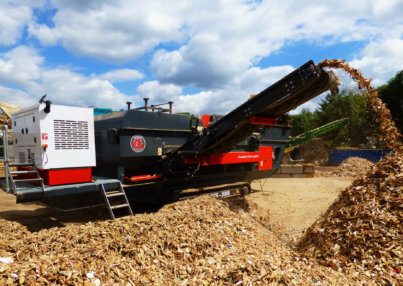 During his time in the panel board industry he has acquired a detailed knowledge of the waste wood sector having grown Timberpak from a single site processing 20,000 tonnes a year to a four site unit, processing more than 350,000 tonnes a year. For the past six years Mark has played an active role on the WRA board working with the rest of the Board for the good of the organisation on the varying challenges the industry has faced. He feels passionately about the wood recycling industry and enjoys adding benefit though his role with the WRA.